Newsonomics: Will Facebook’s troubles finally cure publishers of platformitis? The Cambridge Analytica story is a reminder of the value of a trusted, direct connection between publisher and consumer. Building more of them is the news industry’s best strategy available. That Facebook’s fall from grace will be twinned in history with the rise of Trumpism seems poetic. It’s a digital Frankenstein fable, one even Mel Brooks might have a hard time satirizing: a perhaps uncontrollable phenomenon escaping from the laboratory (or, in the modern case, Room H33). Listen to The Daily’s interview with Zuckerberg when he broke his fast of Facebook silence, when the scope of blowback to Cambridge Analytica’s work on his platform could no longer be ignored. You hear, in the awkward silence and hesitant replies, the sense that the digital age is now doing as much to us, as it is for us, quite beyond anyone’s control. What would we know if it weren’t for The Observer and The New York Times? Those two mission-driven news organizations dug out the story and have continued to unearth the grizzlier details of election tampering. Both the Times and the Guardian-owned Observer have seen their share of digital business-disruption woes. But the fairly steady hands of their owners and top executives have steered them through it — veering at times, perhaps, but never wavering from their mandates to serve their readers and countries. Isn’t it great journalistic institutions — even more so than great journalists — that we depend on in times of unexpected societal crisis and stress? For hundreds of years, societies have responded to major stresses in predictable ways. Often that means turning to a strongman, as captured so well in this year’s must-read Why Democracies Die. But a strong press — with its own decades of institutional memory, trust, and capacity — still proves a potent counterpoint. (“The history of man against the state is the history of memory against forgetting,” wrote Milan Kundera in 1979, and that truth is even more evident in a time when a digitized society struggles to hold up a Black Mirror to itself.) As journalism on both sides of the Atlantic seeks to rebuild itself, that understanding is key. Simply funding journalists in ones, twos, or threes to do some of the work that the market used to pay for won’t be enough. It takes institutions — old institutions, and new institutions still to be built — that stand ready to both report and stay with society-shaking stories like this one. It takes power to stand up to power. Is anyone in the news world who has followed the flight of Facebook really surprised? Two springs ago, Facebook had hired a team of editors to help separate fake from real. But as Republican charges of bias got air in Congress, Facebook fired the team and told us algorithms would do the work. They didn’t, here or in much of the rest of Facebook’s data stores. Facebook has long played its own version of three-card Monte: It’s the algos! No, it’s the human! No, it’s the algos! Now it’s apparent it hasn’t mastered the real game of how humans and technology can best work together to solve the new problems of this age. My research into the word “psychographics” indicates it was first used by an American writer around World War I to describe a method of classifying people by their physical appearance, but not by demographics, socioeconomics, lifestyle, or psychological characteristics. It was later used during the 1920s to describe a technique for classifying people by certain attitudes. Still, no attempt was made to research this hypothesis or suggest the existence of segments. Someone else used the same word during the 1930s to portray a mystical study of human nature. These seemingly contradictory definitions had one thing in common: They sensed there could be a psychological profile of a population. Of course, marketers have been building such profiles of consumers since long before the Internet; think of P&G’s classic innovation of personae. Even newspaper and magazine publishers have long used psychographics in targeting subscribers. They combine known profile data with lots of purchased surrounding data — on neighborhood characteristics, for instance — so they can charge one subscriber 20 percent more than another. Journalists need to be less wild-eyed here. It’s not “psychographics” that is the concern here. It’s the intent to use it to screw around with fair play and fair elections. And it’s the bigger societal question of whether psychographics — souped up on the kind of data-linking that Cambridge Analytica employed — are getting too good and too complete to move from relatively benign to malign. We know ill intent — what-should-be illegal intent — when we see it. Now we’ll see how well our patchwork of election laws handles this particular case. Amid all the calls for “regulation,” it’s never been more apparent that limits are needed. So what those should be, and who should impose them, rightfully moves full center into the debate. Whither “Facebook subscriptions”? As Facebook has mounted its PR campaign to respond to questions of advertising dominance, it has increased its focus on placating publishers. Program after program have seemed to offer news publishers some advantage in working with the social network. Almost all of them have turned out, upon specific analysis by publishers and others, to accrue greater benefit to Facebook than to publishers. (One exception is its fairly straightforward ad-buying programs in which publishers fork over money to gain more Facebook reader attention.) Just before the Cambridge Analytica news hit, Facebook had been promoting its new subscription program, testing it with The Washington Post and other top publishers. Increasingly, in my talks, such as at January’s Megaconference, I’ve focused on how rebuilding relationships now sits at the core of news publishers’ business models. They build those on the basis of trusted, first-party relationships. It’s the Seven Percent Rule — a small fraction of visitors drive most online traffic and profit, and they are the key to publishing survival. So, given all the human attention that Facebook and Google drive, the question remains: How can publishers best benefit from it? The top publishers I speak to have figured it out, at least conceptually. Despite the hyperventilated claims of the duopoly changing the world as we know it, these publishers know that the way to think of platforms is as marketing channels. Yes, marketing channels of huge potential. But the key is to use them — and not use them — in the cause of broader strategies of reader engagement, conversion, and subscription revenue. Perhaps the industry’s collective case of platformitis — it was just a couple of years ago that we were being told that publishers didn’t even need a website anymore, that they could just publish where the eyeballs were, on platforms — can be now managed. So what do publishers wanted from Facebook and Google? Ironically enough, better targeting — which means, of course, better data sharing. And “data sharing” sets off many of the same alarm bells that “psychographics” now does. Most publishers have already seen, over many months, the continuing devaluation of Facebook as a referral source, as both Parsely and Chartbeat have well tracked. Will Facebook’s sudden social toxicity chill its plans to work with publishers on subscriptions? Just as interestingly, will publishers ask new questions of Google and its new subscription programs — which have seemed more promising than Facebook’s — as the wider questions of targeting and data sharing swirl? For publishers, it’s not just a matter of doing the right thing. In a trade that must value trust above all, it’s also about appearing trustworthy. Consider this major breach of data and trust an opportunity to talk with subscribers and readers about why publishers’ use of their data is worthy of their trust. And make sure that it is. That trust is a jointly held lifeline between publishers and concerned citizens. Now efforts must be redoubled to — ethically — bring more would-be customers into that first-party ring of trust. The newsletter phenomenon — opt-in, get something of value, get to know each other — best signifies this vital movement. So what do we do now? Douglas Rushkoff said back in 2011 that you are Facebook’s product, not its customer. It’s easier to see that now, to understand that Facebook is really just another advertising company — one grown beyond anyone’s imagination (except Google). But what can be done about it? Facebook is social crack, fostering a dependence that has made easy to swallow its monetization of our attention. Now that the extent of what it knows and how that knowledge can be used is clear, what are we going to do? Most initial thoughts have turned to what Facebook will do — or should be forced to do; the #DeleteFacebook movement is worth watching. Returning to the analog era seems neither possible nor desirable. How do we enjoy this digital Garden of Eden without being destroyed in the process? As a platform that wanted to globally mass, Facebook had to be free. The price of that strategy may, inevitably, be data manipulation, beyond even the best intentions or efforts at control. It’s integral to the business model. If that’s the case, are we running headfirst into a collision with basic American democratic values — all because the most easily lucrative business model has led us there? 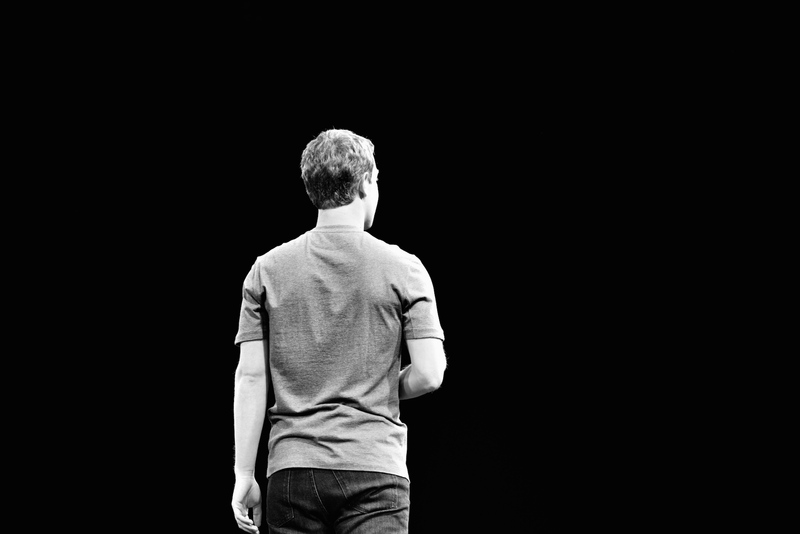 Photo of Mark Zuckerberg by Alessio Jacona used under a Creative Commons license. Doctor, Ken. "Newsonomics: Will Facebook’s troubles finally cure publishers of platformitis?." Nieman Journalism Lab. Nieman Foundation for Journalism at Harvard, 27 Mar. 2018. Web. 24 Apr. 2019. Doctor, Ken. "Newsonomics: Will Facebook’s troubles finally cure publishers of platformitis?." Nieman Journalism Lab. Last modified March 27, 2018. 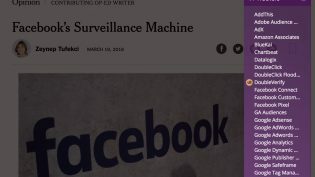 Accessed April 24, 2019. https://www.niemanlab.org/2018/03/newsonomics-will-facebooks-troubles-finally-cure-publishers-of-platformitis/. 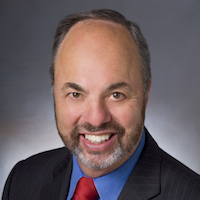 | title = Newsonomics: Will Facebook’s troubles finally cure publishers of platformitis?